The great care we take when selecting our small round diamonds is evident in these photos. The stones, at .03ct each, are large enough so that we can see the lovely facet patters. 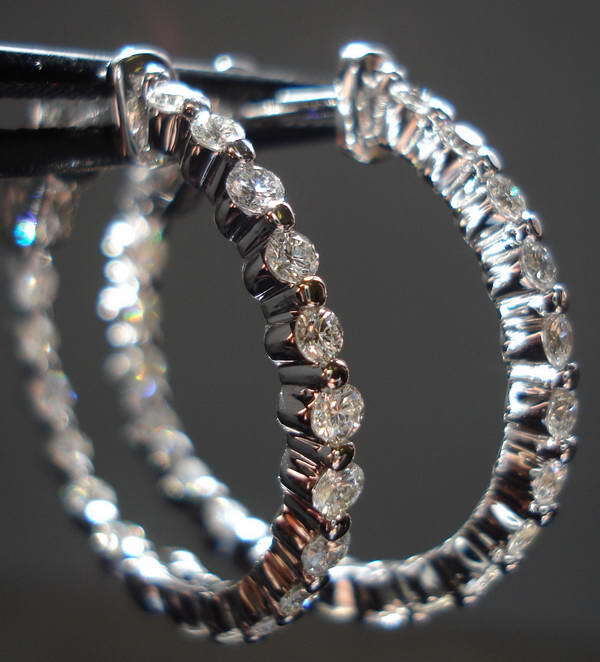 The design features forward facing diamonds in the rear of the earrings. 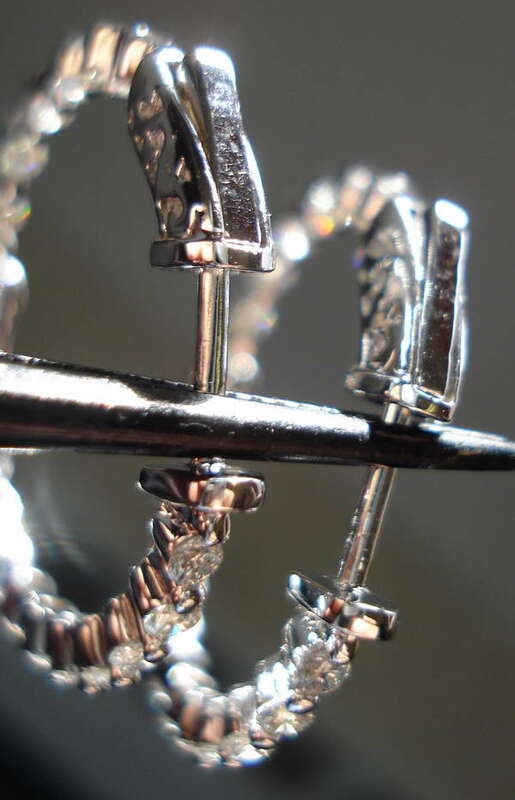 The "common prong" setting is extremely clean. Thee earrings feel amazing. 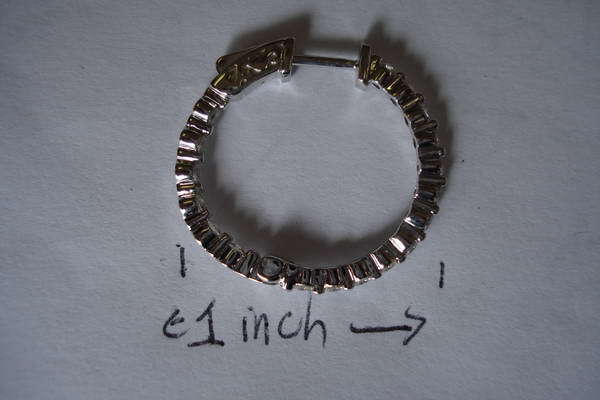 The earrings measure about 1 inch- they cute- but pack a wallop. There's a clever safety mechanism built into them. You need to push down on the part that goes through your ear to open them. They close with a noticeable "click". The photos above are ACTUAL Photos of the item you will receive.